How to build your customer database…it’s a tough question that keeps many business owners up at night. You want to reach your customers and clientele on their level. You want to meet their needs, provide service that wows them, and keep them coming back for more. But at the same time, many marketing managers worry about coming on too strong and getting too personal. You want to build a genuine relationship with your clients—not wear them down or come off as invasive. While your key customers value their privacy, they also expect personalization—so many companies end up attempting a balancing act. Yet, most research shows customers willingly share information, provided they know it’s being used to create a positive experience. Your best bet? Give customers opportunities to share information openly rather than staying quiet and waiting for data that will never come. Micro-surveys have become quite popular over the last few years. These quick surveys consist of less than five questions and are often conducted right at the point of sale. While they’re obviously effective for collecting customer satisfaction metrics in B2C settings such as retail, they’re ALSO a great way to capture metrics about your key buyers, even in B2B. But don’t get greedy—keep your surveys short. Measure overall satisfaction or let clients quickly assess one issue like delivery speed. If you want to collect a demographic metric, focus on one, such as company size or volume. Keeping it concise keeps your contact from feeling hassled. Micro-influencers (those with a social media audience of under 5000 followers) are also great promoters of your brand, especially seeing as 85% of consumers trust peer recommendations over traditional ads. This same approach works for B2B sales as well. 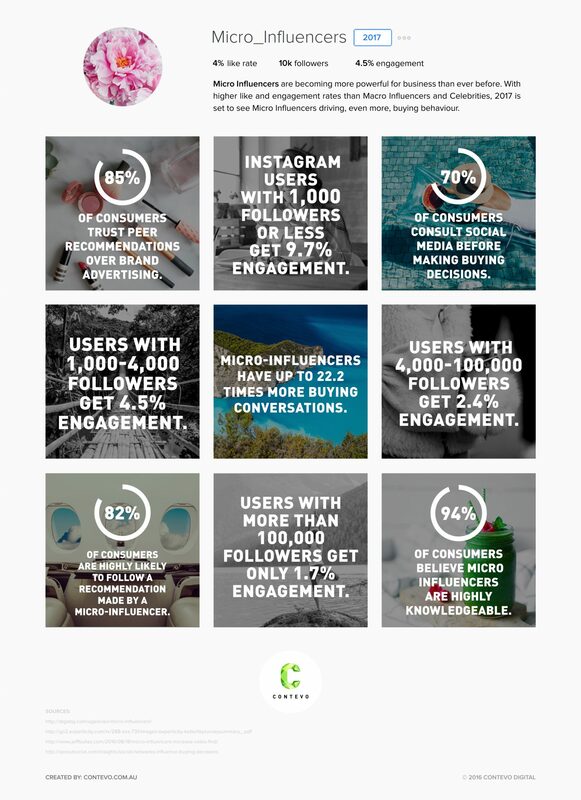 Campaigns driven by micro-influencers show 60% higher engagement. For a much lower cost than a “celebrity endorsement,” an influencer will share your products or services with their enthusiastic and loyal peer supporters—many of whom share commonalities you can use for segmentation as you build your customer database. Can you give your top clients access to exclusive notifications? Bonus content? New products or services before they’re otherwise publicized? If you want to collect customer data by sharing a weekly newsletter or another piece of content, then give them exclusive access or extra incentives for handing over their information. Customers respond well to value-driven opt-in incentives: a series of demonstration videos, a printable maintenance schedule, an easy reference guide. Don’t offer a one-time opt-in to trade for their email address and contact information and then forget about the relationship. Use communication, incentives, bonuses and exclusive opportunities as a method for building that ongoing relationship and discovering more about your clients. How easy is it for your clients to share their data with you? When your customers visit your website or place a job order, are they given a clear, easy way to sign up for future communication? It may seem like a no-brainer, but many businesses skip this critical step. Clients may visit your website one time, but if you want to build repeat business, create a clear, obvious, easy method for capturing those leads. Customers spend under a minute on a website (sometimes far less time), so don’t miss out on a chance to build a connection. If you want to build your customer database, it’s important to focus on building your relationships. When you’ve forged a strong bond with your clients, built loyalty, and offered them incentives, they’ll keep on comin’ back for more.